Tokyo Individualized Educational Institute believes its corporate identity represents the foundation of its approach to sustainability. As such, by putting our corporate identity into practice, we aim to contribute to a sustainable world and to a happy future for humanity, for not only children but all of our stakeholders. As a corporate citizen and a member of the community, we comply with laws and rules as well as fulfill our social responsibilities with strong ethical values that live up to the expectations placed in us in order to deepen mutual trust and mutual satisfaction with all of our stakeholders. 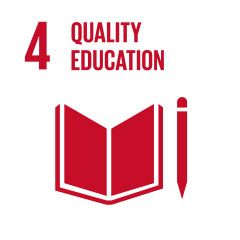 Tokyo Individualized Educational Institute endorses the Sustainable Development Goals (SDGs), established by the United Nations to solve worldwide issues. 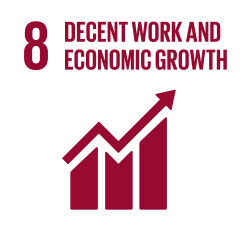 As a company engaged in capacity-building, we aim to contribute to the achievement of the SDGs through our business activities, including fostering the next generation who will help to build a sustainable world. This page introduces the SDGs relevant to Tokyo Individualized Educational Institute along with our specific activities. We believe that people’s growth forms the basis of our business growth and that people’s growth helps to create the future of our world. As a company that provides educational programs, we support the growth of customers, instructors and other stakeholders as well as contribute to people’s development, empowering them to pave the way for a sustainable future. We believe that people’s dynamism is the driving source behind our business growth. Therefore, we are committed to providing workplaces that provide purpose and where everyone who works there can fully contribute their individual skills. We aim to be an organization that grows together with employees by increasing productivity through enhancing people’s dynamism. We value the power to co-create. This involves building relationships of trust through dialogue, dreaming big together instead of by ourselves, as well as achieving these dreams together and sharing the joy in doing so. 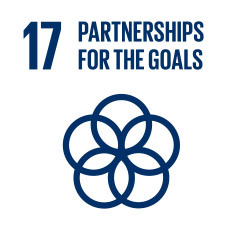 We are committed to building partnerships for the SDGs by incorporating the perspectives of the SDGs into our business to deepen awareness of social issues. Our activities appear on the Ministry of Foreign Affairs’ “SDGs Platform” website together with the initiatives of other companies. The Sustainable Development Goals (SDGs) are a set of international targets in The 2030 Agenda for Sustainable Development adopted at the UN summit held in September 2015. The SDGs call for UN member countries to make efforts toward achieving all 17 goals and 169 targets for sustainable development, including in the areas of poverty, hunger, energy, climate change, and peace, by 2030. The SDGs promise no one will be left behind. This page introduces Tokyo Individualized Educational Institute’s initiatives for sustainability (CSV and CSR). Institute, INC., all rights reserved.